T-Mobile is ready to make another big move, announcing plans for a media event at January’s CES to discuss the next step in its “un-carrier” strategy. 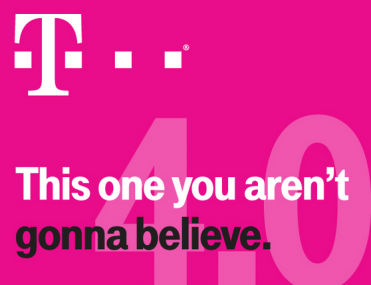 “This one you aren’t going to believe,” T-Mobile says in an invitation to journalists. T-Mobile is planning a media event for Wednesday, Jan. 8, at the Las Vegas event. The first wave of the strategy was doing away with contracts and device subsidies. Since then, T-Mobile has also announced its Jump early upgrade program, as well as a free data offer for tablets and the ability to cheaply roam globally, albeit at slower data speeds.